BUTUAN CITY, Jan. 16 (PIA) - The Philippine Red Cross (PRC) Agusan del Norte-Butuan City Chapter will be electing another set of officers for 2015-2016 in time with this year’s 9th Biennial Chapter Assembly on February 18, 2015 at the Balanghai Hotel, this city. The assembly, according to Atty. Felixberto Guiritan, chairman of PRC Agnor-Butuan Chapter, will be a venue to elect nine new members of the board of directors (BODs). “If there’s anyone that you knew who also deserves to take a seat in the board, then you can nominate him/her. As long as they are willing to give the best service for the chapter and willing to take part of the chapter’s responsibilities, they can be one of the board of directors,” shared PRC Agusan del Norte-Butuan City Administrator Teodoro Cairo during a meeting held on Thursday. It was learned that the orientation of the nominees together with the board of directors (BODs) is set on February 4, 2014 at the Rosario’s Grill and Restaurant here. PROSPERIDAD, Agusan del Sur, Jan. 16 (PIA) - Tropical Storm Seniang left P501,166,580 worth of damages on roads and another 50,900,000 on bridges after the final inventory of the Department of Public Works and Highways (DPWH) and the Municipal Disaster Risk Reduction Councils (MDRRMCs) all over the province of Agusan del Sur. Final and official report from the Provincial Disaster Risk Reduction Council, as of January 12, 2015 revealed that 57 barangays from five municipalities namely, Sibagat, Bayugan, Bunawan, Trento and San Luis suffered the damages ranging from national, provincial, municipal and barangay roads. Barangay Berseba in Bayugan City incurred the highest cost of damage worth P100,000,000 in its national road. Ranked second is Barangay Panay-tay also in Bayugan City and they are concrete provincial roads worth P65,000,000. The third highest worth of damage on roads is barangay Gethsemane and they are barangay graveled roads with a total cost of P43,500,000. The most number of barangays whose roads were affected is Bayugan City with 38 barangays, followed by Sibagat with nine, San Luis with eight and Bunawan and Trento with one each. Because of the terrain in the area, the road going to Barangay Berseba in Bayugan City was damaged. Also, most of these roads were financed by the Payapa at Masaganang Pamayanan (PAMANA) project of the national government. Together with Vice Gov. Santiago Cane Jr. and some members of the Sangguniang Panlalawigan and other municipal and provincial officials, Gov. Agusan del Sur Gov. Adolph Edward Plaza personally visited the most affected areas and distributed relief goods to the affected families. These relief goods in family packs contain rice, noodles, sardines/ corned beef, coffee and sugar. BUTUAN CITY, Jan. 16 (PIA) - In support to the Department of Education's (DepEd's) “Adopt-A-School Program,” Police Chief Inspector (PCI) Nelson C. Nelmida adopts Grade-VI pupils of San Roque Elementary School in Brgy. Bit-os, this city. A memorandum of agreement (MOA) was signed between PCI Nelmida and the school last September 11, 2014. A total of 18 grade-VI pupils benefited from this program, which focuses on the pupils’ authorized fees amounting to 5,760.00 pesos. This covers on the following fees: school paper-60.00, athletic fee-50.00, sustaining-10.00, Alternative Learning System-10.00, Skills Technology and Livelihood Education Program-10.00, Phil. Red Cross-50.00, Anti-Tuberculosis-5.00, Parents-Teachers Association-75.00, and Boy Scout of the Philippines/Girl Scout of the Philippines membership-50.00. Furthermore, after the MOA signing, PCI Nelmida together with his personnel conducted a school feeding and gave various school supplies to all pupils of the said school. In his message, PCI Nelmida encouraged all pupils to strive hard in their studies in spite of some difficult circumstances that they are encountering. “When I was like you, I experienced the same thing of what you have met in your life. I strived hard in my studies in order to achieve my goals in life. I have reached of what I am right now because of my perseverance and commitment to achieve my dreams. Poverty is not a hindrance in making ourselves successful in our chosen field,” PCI Nelmida said. SURIGAO CITY, Jan. 16 (PIA) - The Department of Agrarian Reform in Surigao del Norte (DAR-SDN) conducted an expanded Management Committee (ManCom) meeting on January 12, 2015 at Gateway Hotel, this city. The meeting was led by provincial agrarian reform program officer (PARPO) II Jose T. Sebucao of DAR-SDN Provincial Office. In his message, PARPO Sebucao encouraged the participants to look back to year 2014 and review the lessons learned from the past year and identify the good practices that can be adopted this year. During the meeting, some issues and concerns were also discussed including anticipated problems, needs and concerns that the office may encounter for this year as it continues to execute its mandate in the implementation of the Comprehensive Agrarian Reform Program in the province. Priority activities that need to be done for the year 2015 were also identified and laid out. TANDAG CITY, Jan. 16 (PIA) – The Commission on Elections (COMELEC) in Surigao del Sur is now getting ready for the February 21, 2015 Sangguniang Kabataan (SK) polls. According to Atty. 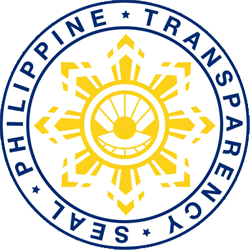 Ernie Palanan, provincial election supervisor (PES), a Joint Provincial Command Conference is set to take place on January 26 at the Schacene Pension House and Restaurant, this city. Concerned allies have already been informed by sending an invitation program to ensure an orderly and peaceful conduct of elections, it was learned. 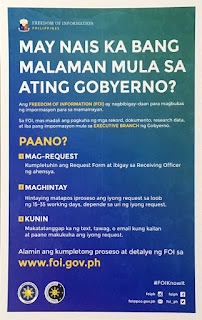 Among them are high ranking AFP and PNP officials as well as chiefs of offices of particular provincial and state agencies like the Provincial Treasurer’s Office (PTO), Department of Education (DepEd) and the Department of the Interior and Local Government (DILG). BUTUAN CITY, Jan. 16 (PIA) – The AimSkills World Management Training Center will conduct its 2015 International Seminar-Workshop on Education Reform and Innovation on May 15 to 17, 2015 at the Hotel Supreme, Magsaysay Road, Baguio City. The training with the theme, “Creating Excellent Learning Outcomes Through High Quality Teaching-Learning” aims to update teacher-participants on the trends in education reform and innovation; and train them on the updated teaching strategies for quality teaching learning. Target participants of the three-day training are supervisors, principals, head teachers, teachers-in charge, and teachers from both public and private elementary and secondary schools nationwide. BUTUAN CITY, Jan. 16 (PIA) – The Department of Education (DepEd) through the Bureau of Alternative Learning System (BALS) revitalizes the Alternative Learning System for Persons with Disability (ALS for PWD) Program which is formerly known as ALS for Differently-Abled Persons (ALS-DAP) to further attain the department's goals in relation to the Education for All (EFA) and Millennium Development Goals (MDGs), and the effort to reach all types of learners. Just recently, the department through DepEd Order No. 46, series of 2014 dated November 24, 2014 released the "Guidelines on the Implementation of the ALS for PWD Program." It is stated in the guidelines that in order to strengthen the department’s effort to reach hearing and visually impaired learners and provide them with appropriate learning interventions through the ALS, a Program Support Fund for the ALS for PWD shall be downloaded to the recipient Division Offices (DO). There are 24 DOs that are implementing the ALS for PWD with 28 schools nationwide. In Caraga region, Butuan City and the Surigao City DOs are implementing the program. These include the Butuan City Special Education (SPED) Center, and the Mariano Espina Memorial Central Elementary School (MEMCES) SPED Center, respectively. Do you know that the period of infancy up to age two is a period of rapid physical growth? lnfancy is a critical period in the health and nutrition of children since food intake should match the increased requirements for energy and protein at this age. More than providing children with age-appropriate energy-dense complementary foods on top of continuous breastfeeding even at age six months and older, their growth should be monitored closely by health personnel. It is therefore alarming that the 2011 regional survey conducted by the Food and Nutrition Research Institute of the Department of Science and Technology (FNRI-DOST) reports that only 53.3 percent of households participated in growth monitoring activities. The FNRI report said that about half of the children was not checked by health personnel. Likewise, their parents may not have been informed of the importance of growth monitoring. According to the same report, "growth monitoring is the regular measurement of weights of children using growth charts where measurements are plotted." Monitoring and plotting the weights of a child monthly give an idea whether the child is growing within standard or age-appropriate weights. Any deviation from the standard may be a cause for alarm, as this can demonstrate growth faltering --- either towards becoming underweight or overweight. Growth monitoring is a regular activity conducted by midwives and barangay health or nutrition workers in rural health units and by doctors in private clinics. Parents should take advantage of this free health service to ensure the normal growth of their children. It is important to determine the cause of growth faltering so that immediate remedy can be offered.